Google entered 2018 as one of the commonly used search engines. In fact, it is holding the top spot followed by Bing, Yahoo! And Ask.com. 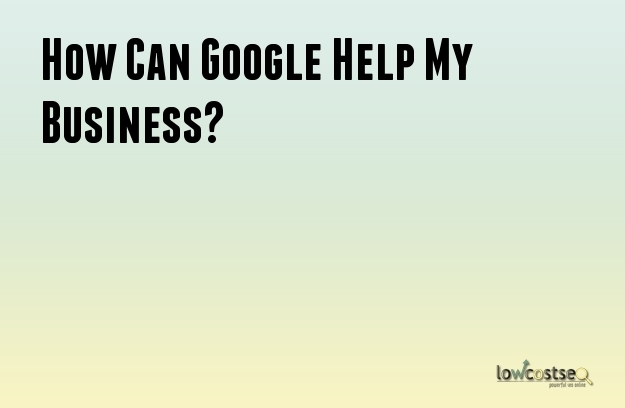 Google managed to do this by generating free tools for business owners, small or large, to help people understand that the internet can assist in a business’ growth. Sharing documents with your employees is now easier, thanks to Google. You can save word and sheet documents online and allow people to edit or open it with your permission. The same goes with Google Slides where presentations can be saved online so you won’t have any excuses when it’s time to present at the office. You might enjoy using Google Forms when it comes to gathering information about your clients and for feedback purposes. Last but not the least, we can start uploading files on the web and save it on Google Drive. Basically, Google is making it easy for users to share and save files using their platform for free. Anytime, anywhere. What’s not to love? The only reason I had used Google Hangouts before was to join an online event hosted by Khan Academy. I don’t have to drive miles and miles to physically join their forum somewhere, all I need is a laptop and a fast internet connection as I sit there comfortably listening to Salman Khan’s opinion towards modern education. You can do that in your business too. Live hangouts make it easier for business owners to video call or have an online discussion with colleagues and customers. Online meetings can be held when you’re connected to a fast and secure internet. This way, wherever you are, work can still be done. At some point, you tried searching for a business and ended up looking up at a listing that had an address, contact number, reviews, photos, closing/opening time and even the directions. You can also do this for your business by accessing the My Business dashboard. Spend some time uploading useful photos and engaging with customers by replying to reviews. Social networking is functional, especially in marketing. Google does not want to be left out, so they created Google+. Before you can sign up for My Business, you would need a Google+ account first. And what do social media accounts do? Share photos, videos, content, messaging – you know the drill. When it comes to company emails, it’s better not to use free emails like Yahoo and Gmail. But it is included in this list because if your business is still on the first phase of developing its online presence, using Gmail temporarily isn’t so bad. Google wants to help websites earn more traffic. With Search Console, you can submit more info about your website so that Google can identify which types of audience should find you. After verifying your ownership, you can take advantage of its features that allows you to collect data required when building an effective SEO strategy.